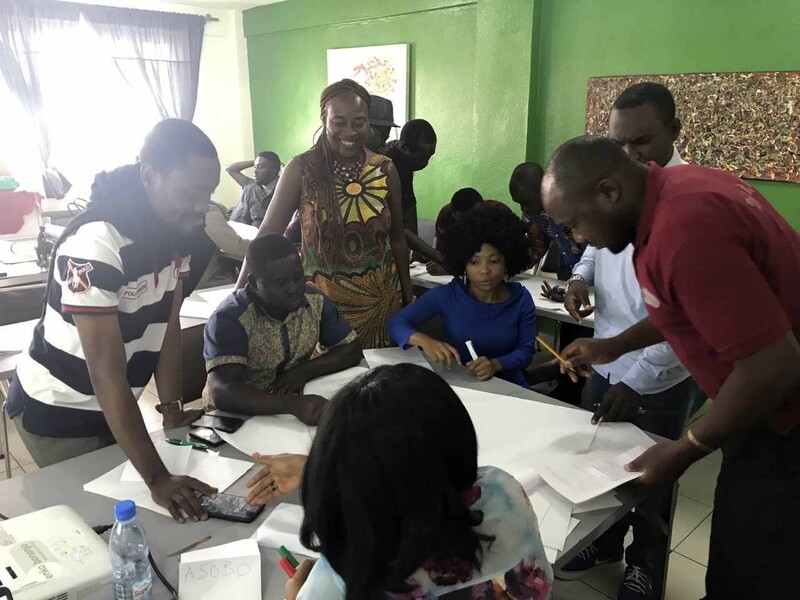 A couple of days before the first day of school, teachers celebrate African cultures in professional development workshops at Enko La Gaieté International school (Yaoundé), and Enko Bonanjo International School (Douala). They came from afar to work with the Enko staff in Yaoundé and Douala. Fanny Moral, student recruitment lead for Enko Education is French and lives in Johannesburg the city of Enko Education’s Headquarters. Estelle Baroung Hughes, in charge of professional development for the Enko group, is Cameroonian and lives in Geneva, the city of birth of the International Baccalaureate (IB). These two professionals have in common their passion for education and their love for the African continent. This is partly what they are here in Cameroon to share. The workshop at Douala and Yaoundé focused on Enko culture, namely, the values and work ethic of the group. 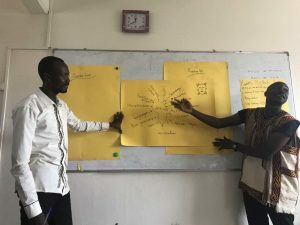 Fanny et Estelle also led a reflection on the African and international dimensions of Enko Education identity. 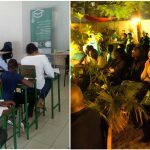 When the two workshop leaders asked teachers to translate the Enko manifesto into their own mother tongue, the room went quiet at first. Then came a moment of concentration and group work on the translation of texts from the Enko passport. The sharing phase came with sounds of Bassa, Baham, Bansoa, Lamso, pidgin and Yoruba which is the mother tongue of Mr Akinbo, head of school at Enko La Gaieté. At Enko Bonanjo, Mrs Hildebrandt, Head of school, mentioned her attachment to Swahili. It was with great collegiality and laughter that everybody lent an attentive ear to the sounds of unfamiliar or familiar African languages. In the second part of the workshop teachers organised themselves in subject groups (Languages, humanities, Sciences, Maths, Arts) to prepare presentations on how to honour Africa through the curriculum. The discussion was lively and the following presentations inspiring. It was clear to Fanny and Estelle that the Enko teachers of La Gaieté and Bonanjo have a soft spot for Africa. Enko education is clearly a network where teachers’ work can contribute to build Africa through education. 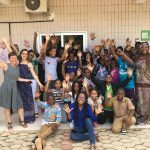 May the first term in the Cameroonian Enko schools be like these teachers: passionate, team-oriented and full of the joy to learn in Africa, on Africa and for Africa.